The Advanced Diver certification requires 5 dives. Two dives are mandatory “core” dives. They are deep and navigation dives. You then choose 3 dives from a list of 15 “elective” dives to complete the course. Popular elective dives are night dive, wreck dive, drift dive, peak performance buoyancy and photography dive. The Advanced Diver manual has chapters on each dive which you must read before the dive and complete the knowledge review sections at the end of each chapter. There is no classroom time, this course is mostly about diving. 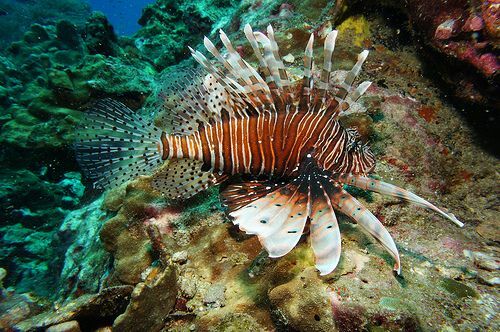 You can choose to dive at Racha Yai Island, Racha Noi Island, Shark Point, the King Cruiser Wreck, Anemone Reef or the Phi Phi Islands. Course prices includes rental dive equipment, training materials and certification fee, breakfast and lunch on the boat. The advanced course is an ideal course to combine with a liveaboard to the Similan Islands or Hin Daeng. 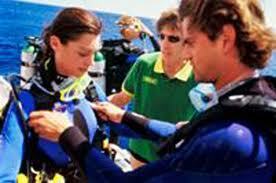 The course dives fit seamlessly in with the scheduled dives. The course price is much cheaper on the liveaboard (usually about 50% cheaper but boats vary). If you have just done your Open Water course you may be wondering why you should do the Advanced course and when you should do it. In general we recommend everyone to do the advanced course as soon as possible after the open water course although the reasons why may vary for different divers. The “advanced” is slightly misleading. Five dives does not an advanced diver make but those extra two days of diving will improve your underwater ability considerably. When you consider how much you learned in your first 4 dives you can imagine how much better you will be after 5 more. Doing the advanced course shortly after the open water course consolidates your skills before you have a chance to forget anything. As any diving instructor will tell you, not all newly certified divers are equal. Some divers scrape through the open water course. They can dive safely but not well. The advanced course goes a long way to increase confidence and competence underwater. Some people take to diving naturally. In their case the advanced course is a chance to try new stuff like diving deep and exploring a reef. Or taking underwater photos for a first time. Even confident new divers would be wise to do their first deep dive, wreck dive and night dive under expert supervision. The dive industry has done a lot to promote the safety of diving and it is a very safe sport but the dangers underwater are real if you don’t know what you are doing. Diving to 30 metres is no joke, neither is getting lost on a night dive. Your instructor will allow you to enjoy the experience safely. The advanced certification card has it’s benefits. Every time you go on a dive boat or turn up at a dive resort the dive organizer will ask to see your cert card and log book. He is trying to access your ability level so that he can place you in a group of similar divers. He wants all divers to have a good time but mainly he is concerned with safety. If he sees that you are Open Water certified with 4 dives you are going in the beginners group. You will get to dive on a nice shallow reef with minimal current. A safe dive for inexperienced divers. The other divers in the group will be equally inexperienced, probably nervous, unfamiliar with their rental equipment and breathing heavily. As soon as the first diver in this group is low on air, everyone has to surface. Dives in this group tend to be short and uneventful. If, however, you have an advanced cert card the dive leader feels more confident to put you in a more experienced group. He can safely send you on a dive below 18 m depth without liability issues. You can now dive on deeper reefs where the sharks are. Or pinnacles with stronger currents where the manta rays come to feed. Your dives will likely be longer because experienced divers tend to have better air consumption.